Air traffic services company, NATS has signed a major contract to provide radar mitigation services for the European Offshore Wind Deployment Centre (EOWDC) off the Aberdeenshire coast. The mitigation solution will see NATS ‘blanking’ the EOWDC development on its Perwinnes radar and the installation of a Wide Area Multilateration radar system to infill the area and provide contingency coverage for helicopters operating off-shore from Aberdeen Airport. 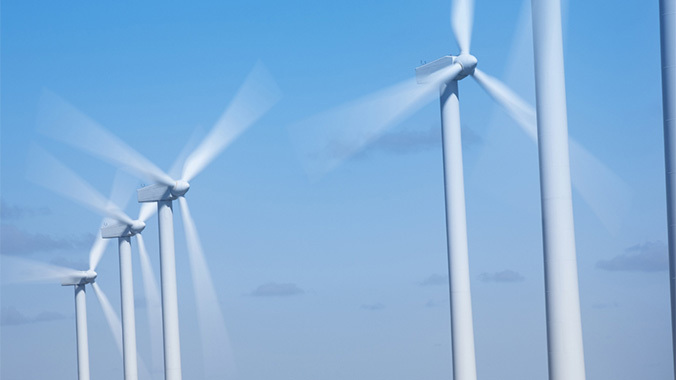 The mitigation allows Vattenfall to proceed with the construction of the 11 turbines in Aberdeen Bay that will generate 92MW of renewable energy. Wind turbines can cause interference to radar, appearing as ‘clutter’ that can potentially hide or be mistaken for aircraft. In these cases, NATS will work with the developer to mitigate the impact using a range of possible techniques that will ensure the ongoing safety of air traffic while allowing the development to continue. Adam Ezzamel, project director for the EOWDC at Vattenfall, said: “We have worked closely with NATS to help develop the mitigation solution and are very pleased to secure the services of a UK business that has extensive experience and a proven track record in air traffic control and radar services. Last year NATS was also chosen to provide a mitigation solution for the Frodsham and Tormywheel wind farms and has overall helped release 500MW of renewable energy over the past 12 months. What is Wide Area Multilateration? Wide Area Multilateration radar uses signal transmitters and receivers fitted to tower structures onshore, as well as offshore oil and gas platforms in the central area of the North Sea, to track and identify individual Mode S equipped Aircraft. The data is sent to the control tower at Aberdeen Airport where it provides real-time information for the controllers.